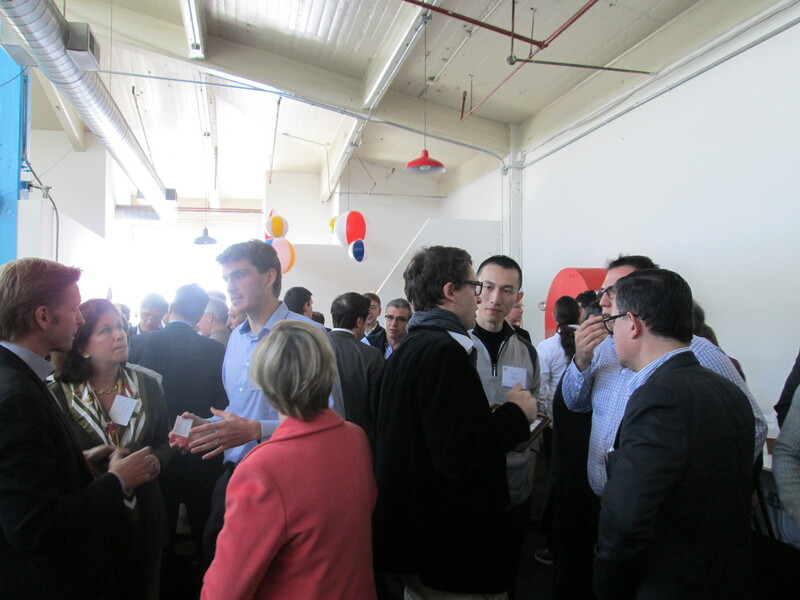 The event was opened by a speech from Romain Serman, the Consul General of France in San Francisco. The French Consulate strongly supports initiatives aiming at empowering French digital actors and has also taken part in the creation of the US Open Innovation Club. Therefore, he was enthusiastic to see a concrete initiative organized in San Francisco. To prepare this event, PRIME sourced more than 300 start-ups and corporations selected 50 of them based on specific criteria such as maturity and potential partnerships. During the first two days, these 50 start-ups presented their solution and got the opportunity to discuss business opportunities with the attending corporations. The corporations also attended several lectures over the three days. Navi Radjou was at PRIME office on March, 24th to talk about frugal innovation, he even gave a copy of his book ‘Jugaad Innovation’ to the attendees. Daniel Chatelain, the founder of BayPay Forum, spoke on the following day about payment and the current revolution this sector is going through thanks to start-ups that are leveraging new technologies to make money more liquid. Jean-Louis Gassee also took part in this event to describe how the Silicon Valley has changed over the years and how it has shaped the entrepreneurial ecosystem. To close this event, PRIME organized a breakfast on March 26th with numerous key players from the Bay area. The participating corporations were able to meet and discuss with investors, serial entrepreneurs and institutional entities while eating some croissants from La Boulange. The breakfast gathered 90 people in total who put into practice transatlantic cooperation. After these eventful three days, PRIME hopes most of the meetings will lead to concrete projects. Stay tuned!